I’m delighted that my work has been shortlisted for the Lumen Prize in the Still Image category. There was recently a beautiful exhibition on ‘SciArt’ (Art using, from and about Science) at my department (Cavendish Laboratory, University of Cambridge). On 20th March 2018, to be precise. It was a beautiful dialogue, of sorts, between the realms of science and arts. From fractals representing self-similarity to ‘God’s Toolbox’, it was an interesting mix of installations and art-pieces. It looked into ways of producing art with the various elements and concepts in different realms of Physics and science. In this post, I would like to look into a selected list of exhibits that caught my attention. If you ever thought that old CRO machines are all that could make simple and yet beautiful Lissajous figures, have another thought about it! A steel horizontal mechanism makes Lissajous figures in sand, in this exhibit. Collaborative projects with JRC scientists at the European Commission. Presenting artwork at the European Commission in order to develop collaborative projects with JRC scientists. SciArt in Cambridge’s first SciArt Exhibition at the prestigious Cavendish Laboratory took place from the 19th – 24th March 2018 as part of the Cambridge Science Festival 2018. I presented a pendulum (pictured) and a photopolymer etching of static electricity. Artists inspired and informed by Science, working in all media, submitted work with some relationship to Physics or its language – Mathematics – and therefore tie in with the theme of Cambridge Science Festival 2018 “Making Sense of the World”. There was a diverse array of work on show: paintings, films, photography, sculpture, installation, kinetic and wearables. 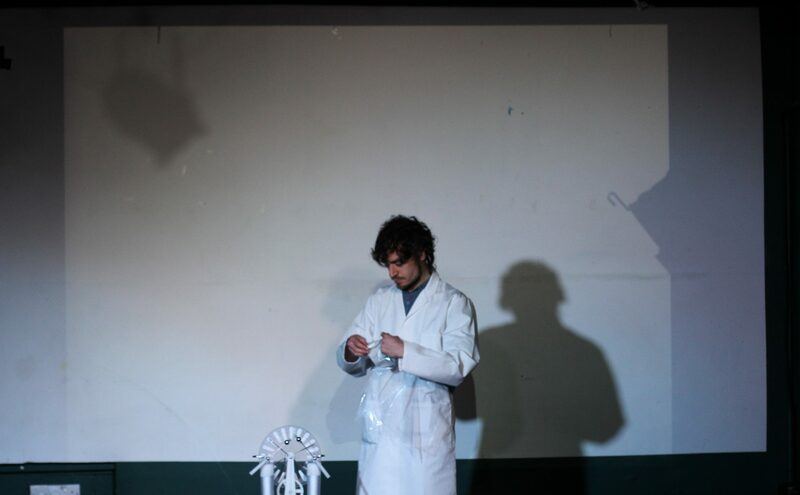 The show was held in various spaces in the Cavendish Laboratory and showcased artworks produced by members of the SciArt in Cambridge Community as well as internationally. The the private view took place on Tuesday 20th March followed by an evening of artists’ talks in the Pippard Lecture Theatre.